Dr. Henry Louis Gates, Jr. has called Fiske "Northup's current and most devoted biographer." BALLSTON SPA, N.Y. - Feb. 14, 2017 - PRLog -- Solomon Northup was the real-life African American man whose experiences were portrayed in the Oscar-winning film, 12 Years a Slave. In a recent edition of Northup's 1853 book, Twelve Years a Slave (upon which the film is based), esteemed African American scholar Dr. Henry Louis Gates, Jr. commended Fiske's research on Northup. This recent edition of Northup's book, published at the end of 2016 as a "Norton Critical Edition" by the W. W. Norton company, contains the original text, with annotations, as well as ancillary articles, essays, and book excerpts. Among the latter is a chapter from a book Fiske co-authored, Solomon Northup: The Complete Story of the Author of Twelve Years a Slave. The Norton Critical Edition was edited by Dr. Gates and Dr. Kevin M. Burke, Director of Research for Harvard's Hutchins Center for African & African American Research. Fiske's input was sought during the preparation of the Norton edition. He was also previously retained as a historical consultant by Fox Searchlight, the distributor for the 2013 film, and provided some historical material for the film's production notes. He appeared in several featurettes prepared in connection with the film's release, including an "Extra" entitled "12 Years A Slave: A Historical Portrait," which is included on the Blu Ray edition of the film. 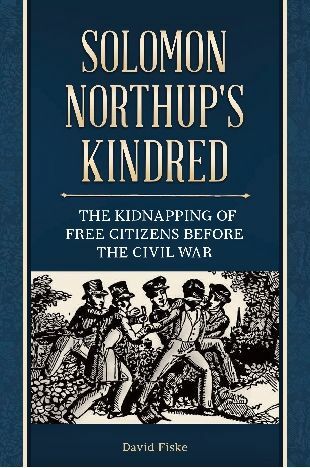 In 2016 Fiske followed up his research on Solomon Northup with a book titled Solomon Northup's Kindred: The Kidnapping of Free Citizens before the Civil War. In that book, Fiske lays out the how and why of the business of kidnapping African Americans and others into slavery. Solomon Northup's Kindred also details the experiences of dozens of free people whose liberty was stolen in the years leading up to the Civil War.